$39.95 In stock - low quantity. Order in the next 15 hours, 45 minutes and it will go out today! 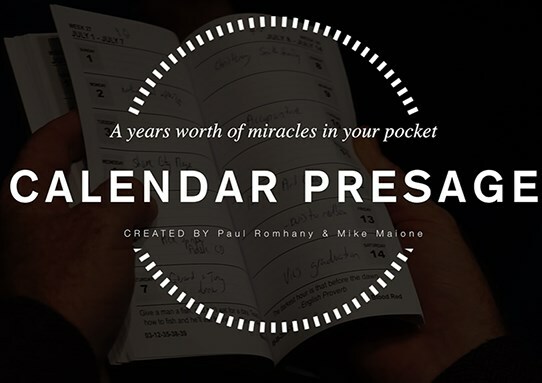 Calendar Presage from Paul Romhany and Mike Malone is one of the most workable, sure-fire and powerful diary effects on the market. We're thrilled to be able to offer you this mental masterpiece that allows you to perform at least six different routines and predictions. The basic effect is as follows. 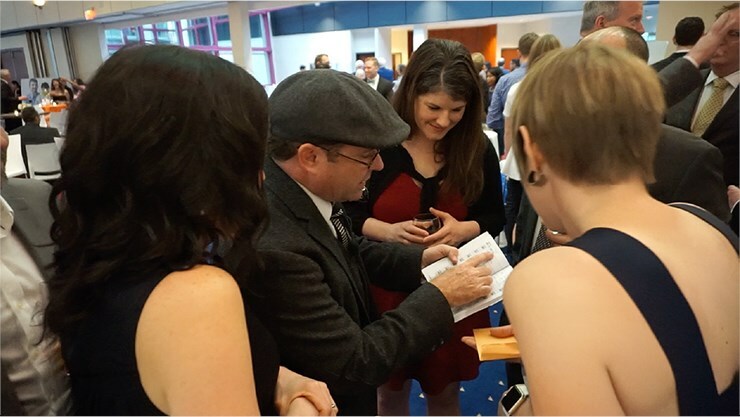 You hand the spectator an envelope, or show them a piece of paper or card inside your wallet, which they hold the entire time. You then bring out your pocket calendar and have them flick through it looking at the dates and different items written in it, (for example a playing card at the top of every week of the diary). They give you ANY date and you look at the card on that date. They take out the contents of the envelope and it matches the playing card, or the proverb, colour or lottery numbers on the prediction. And remember, you give them the prediction before you bring out the pocket calendar and they get to flip through the calendar themselves. This one custom-made pocket calendar that fits neatly in your pocket gives you multiple routines. You can predict lottery numbers, playing cards, any date, colours, proverbs, scratch & win tickets and even use it as a book test. The pocket calendar looks just like any date book you might purchase in a bookstore to keep important appointments and information. For each week there is a proverb, lucky numbers, a special colour and room for you to personalise it and make plenty of notes, appointments and comments to make this your own. 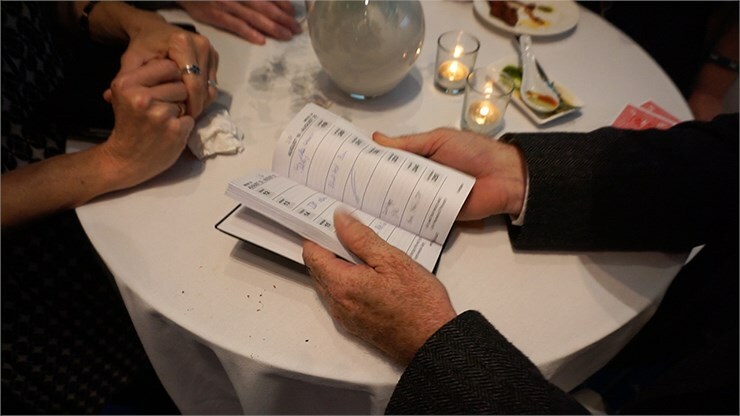 The book comes ready for you to force two proverbs, two colours, two lucky lottery numbers or scratch & win numbers, and has two weeks of entries that you can divine. You can add a playing card to each week so you can also perform date and playing card type routines. Audience can see each page has different colours, words, proverbs, etc. A years worth of miracles in your pocket; lottery predictions, predict a playing card, proverb predictions, fortune cookie routine, name any word and more! Your purchase includes the fully gaffed pocket calendar, as well as video download instructions and a PDF book with routine and instruction, plus PDFs of Scratch & Win tickets and Fortune Cookies.